Blog Spokane, Here We Come! 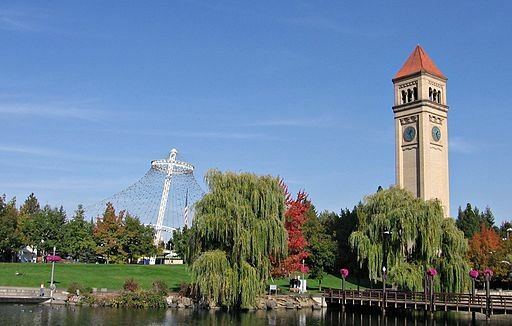 We are extremely excited to announce that we will be bringing our Verified Security Solutions to the Inland Northwest region starting December 1st! We will be opening a new branch office in Spokane Valley, which will allow us to provide Verified Peace of Mind® to businesses, institutions and residences in the region. From our new office location, we will be able to manage the needs of customers in northeastern Washington and northern Idaho. Our Spokane Valley location may be new, but you will recognize some familiar faces among the staff and continue to receive the friendly, personalized service that you have come to expect from Secure Pacific. Our Spokane home security services and commercial security services will include video verification, access control, fire alarm and environmental monitoring. If you have friends or family in the area looking for a Spokane security company for their home or business, feel free to tell them about us! Referrals are the greatest compliment we can receive. With our referral bonus program, Together Always Growing (TAG), you get to choose if you want to have $100 donated in your name and take home $100 for yourself, or have the total $200 donated in your name to the charity you select. Our team will take great care of the people you refer to us and our entire community will benefit from your donation. With nearly 40 years of experience in the security industry, we are ready to take on this next project with confidence and professionalism. It will be our pleasure to serve you at our new location. We thank you for your continued support and hope to see you soon. Contact our Spokane office at 877-837-4723 or visit our website to schedule a free security assessment.